Tower viewers or standalone viewers are often found at high traffic areas, events of interest or scenic outlooks. You typically see them at tourist destinations around the world. Traditional viewers allow people to look through them and see objects in the distance magnified. They are usually unmanned, so the cost of maintaining one is fairly cheap and easy once it is installed. 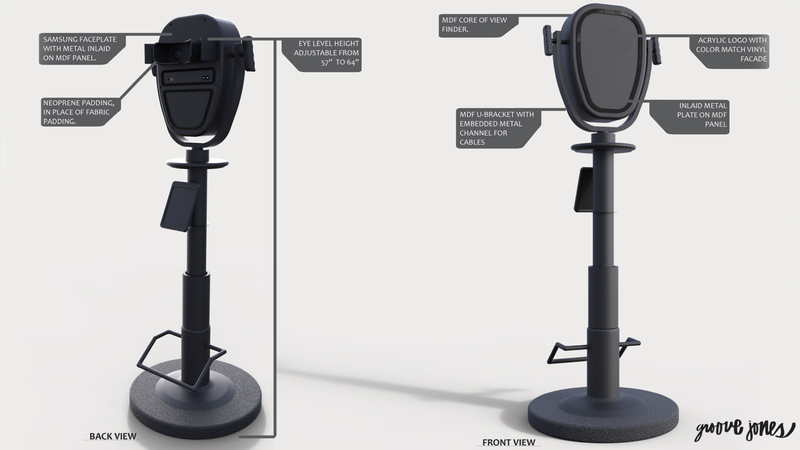 Since VR allows a person to look in all directions (full 360º view) it is only natural to consider attaching a headset to a mount that allows you to look in all directions, without the need of a brand ambassador. 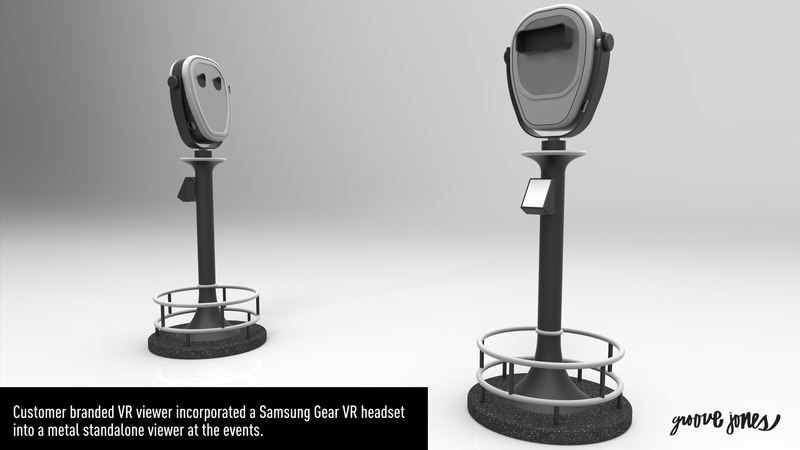 We decided to test out and designed our own viewer using a Samsung Gear VR headset. We could have used any headset, but the Samsung Gear VR worked out best because the content we created was a series of 360º videos. Standalone – meaning a user could walk up and it would work without a brand ambassador. Needed to freely move in 36oº with the ability to look up and down. The hardware was designed around the feature requirements. 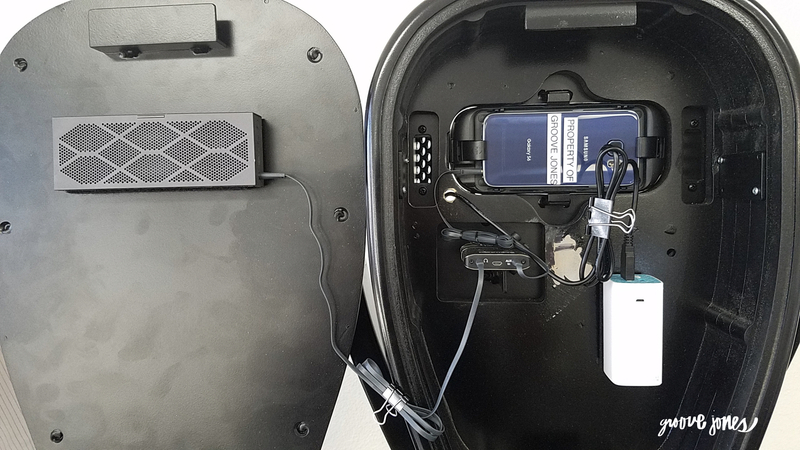 The most challenging was designing a power source for the Samsung Gear VR as the hardware can hold a charge for several hours, but for a full day event, we would need to keep the unit fully charged. This was accomplished by adding a secondary battery source within the unit, which would keep the mobile phone powered throughout the day. The external battery was then removed and charged in the evening. 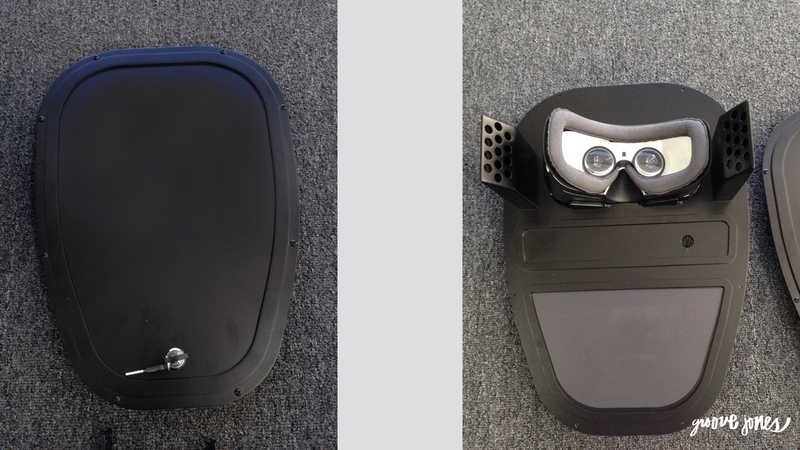 The photo of the inside of the casing shows the different components that were integrated into the head unit. Audio was played through a small speaker device embedded within the casing. Speaker systems were built out from each side of the viewing area. A volume control was integrated so the user could adjust the sound. We also created a special application to run the experience. Similar to what we created for our retail VR viewer, we created an App that would play the 360º video, but it also allowed the user to select from several other 360º videos. The Application was smart enough to go to sleep, when not in use. It also would wake up, once a person moved the viewer and would start the experience from the beginning, incase the last user abandoned the experience before it was finished. 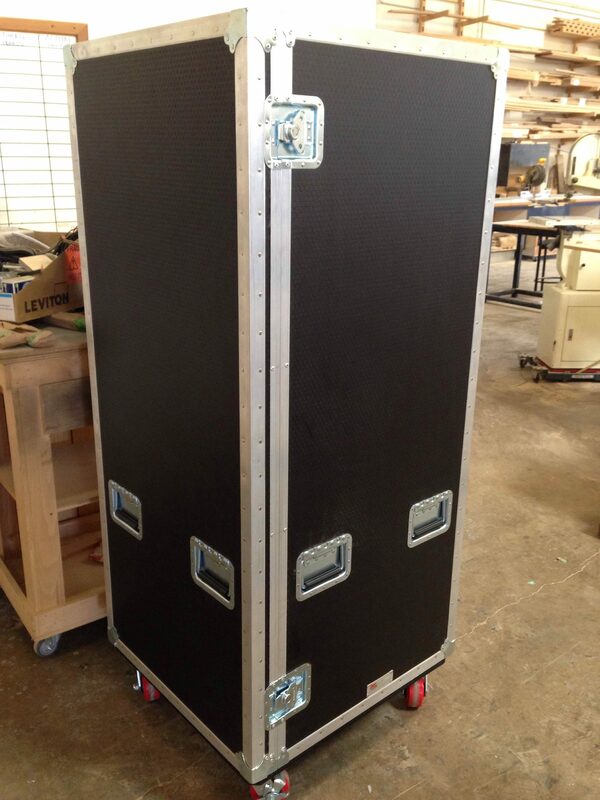 The unit was shipped in a travel container for easy transportation.